It is with great sadness that the Economic Society of Australia acknowledges the passing of Mardi Dungey. Mardi was Professor of Economics and Finance at the University of Tasmania, Adjunct Professor at the Centre for Applied Macroeconomic Analysis at ANU and Senior Research Associate at the Centre for Financial Analysis and Policy at Cambridge University. She was a Fellow of the Academy of Social Sciences in Australia. Colleagues and friends will remember Mardi for her friendship, drive and vibrant enthusiasm, and her pursuit of excellence in her research. She was especially supportive of her many research students and junior economists. Her dynamism and passion in mentoring of female economists generally, and more particularly in the Financial Research Network and the Women in Economics Network, has played an important role in their success. Mardi’s research interests combined the empirical aspects of finance and economics. She is acknowledged as an international expert in the transmission of financial crises, systemic risk and the policy implications of these events. Less well known, but just as important for her, was her program teaching financial literacy to Tasmanian primary-school students. Mardi’s contribution to the Economic Society was significant. 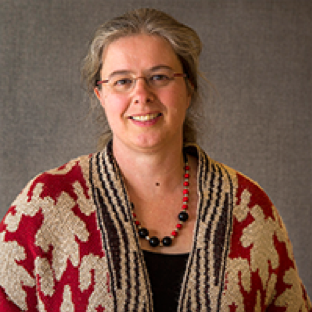 She has served on the ESA’s Economic Panel and in 2014, while recovering from serious back surgery, she convened the first (and to this date the only) joint conference of the Economic and Econometric Societies in Hobart. As with all Mardi’s endeavours, it was a huge success. Typical of Mardi’s concern for students, before she died, Mardi and her partner Ross asked that instead of flowers at her memorial, the Tasmanian branch of the Economic Society be invited to establish a perpetual prize for economics students at the University of Tasmania.